Ninth meeting of the Research Dialogue. 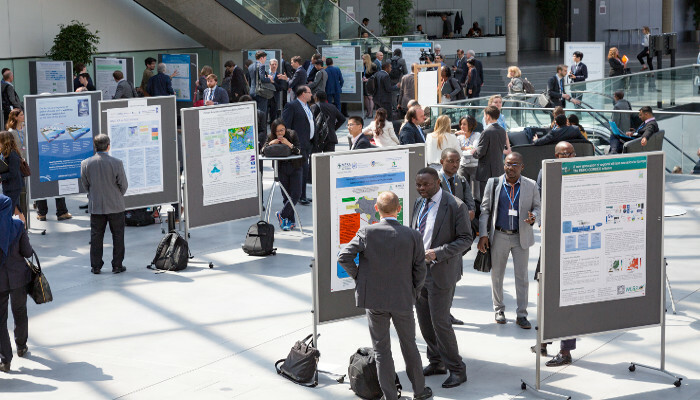 At the recent UN Climate Change Conference in Bonn (8 to 18 May), scientists and delegates came together for their annual dedicated Research Dialogue under the Subsidiary Body for Scientific and Technological Advice (SBSTA). This year was the ninth meeting of the Research Dialogue and it centered around the two themes of "Regional Climate Research Data and Information, and Gaps" and "Science to Take Stock and Assess Progress on Mitigation". A poster session with over forty posters aligned to the two themes was followed by keynote presentations from WCRP Director David Carlson on "Urgent Climate Challenges - Research and Modeling" and Professor Chris Rapley on the importance of climate communication and an interactive dialogue between all scientists and delegates. Scientists warned of accelerating global climate impacts with large regional differences and called for more precise forecasts and regional model outputs, as well as improved and open access to regional scientific data and information. Morten Skovgård Olsen from AMAP reported on the SWIPA 2017 assessment showing that the Arctic has been warming twice as fast as the rest of the planet. Andre Kamga from ACMAD identified that in Africa, with several regions already facing severe droughts, more extreme dryness is projected. Given that differences in regional climate projections are so large, it is essential to update adaptation and disaster risk policies using regional and local information. Emphasized were the importance of regional co-creation of data, training and capacity building and climate services, including the work of the Global Framework for Climate Services, to support national adaptation plans. The GEO regional initiatives are also an important part of this ongoing work. A vital element of the Paris Agreement is taking stock of progress. The global stocktake will assess progress by Parties on all aspects of the Paris Agreement in 2023 and every five years thereafter. In 2018 a facilitative dialogue will take stock of the collective efforts of Parties in relation to progress towards the mitigation goal. The scientific community have an important role in providing scientific inputs into the global stocktake and facilitative dialogue, including the latest reports of the IPCC. Jim Skea from the IPCC reported on progress on the sixth assessment cycle, particularly the Special Report on Global Warming of 1.5 degrees C to be published before the facilitative dialogue in 2018. Also presented were developments under the GCOS 2016 implementation plan on a set of indicators for the Earth. These indicators shall consist of both historic Indicators to help improve communication and dialogue with policy makers, practitioners and the public, and future risk indicators to inform of societal impacts and guide mitigation and adaptation policy and actions. Dr. Joanna Post is lead officer for Research and Systematic Observation at the secretariat of the United Nations Framework Convention of Climate Change (UNFCCC) in Bonn. At UNFCCC she is responsible for leading the work to support negotiations on research and systematic observations, collaborating widely with international and regional scientific organizations and programmes so as to implement mandates, inform the negotiation process, and help to maintain and enhance the capacity of countries, in particular developing countries, to undertake and participate in research activities and systematic observation. She holds a Ph.D. in environmental biochemistry from the University of Newcastle Upon Tyne, UK. 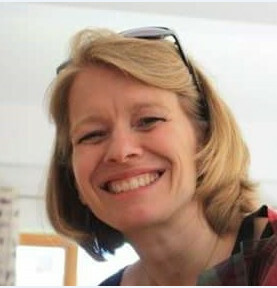 Her career has focused on science research and communication from starting as a writer and designer of science educational resources and museum exhibits to project and communication management roles in national and international science research projects and networks, before she joined the UNFCCC in her current role in 2014.